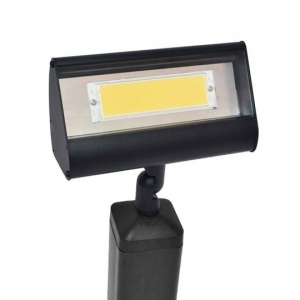 Whether commercial or residential, LED Spot provides barn lights, gooseneck lighting, and other sign lights. We work with several manufacturers to offer a variety of arms, shades, and styles. If you don't see what you're looking for, give us a call at (281) 972-5006. 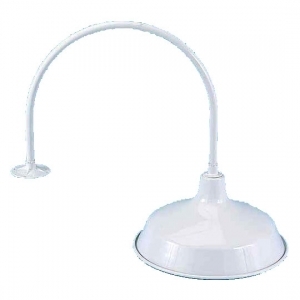 Gooseneck fixture with 24 inch arm and 13W LED lamp. Great for interior and exterior use. 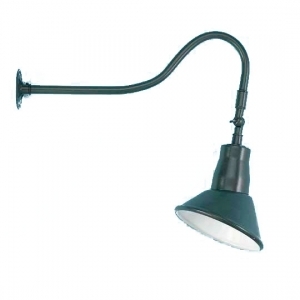 Gooseneck style lighting fixture with 35 inch arm. 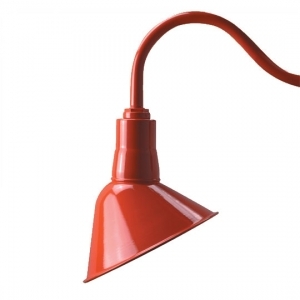 Long-lasting, high output LED lamp available in neutral or warm color temperatures. 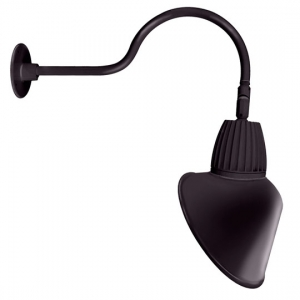 Gooseneck fixture for a variety of applications. Adjustable swivel and 24 inch arm length. 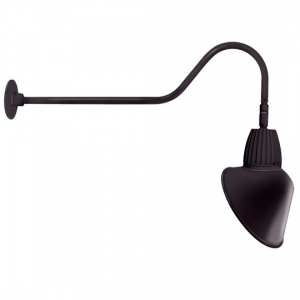 LED gooseneck with 11 inch shade. Extends from walls to highlight signs and walls. LED gooseneck sign light with a variety of customizations. Useful for sign lighting and decorative indoor applications. 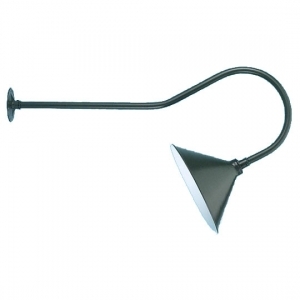 Gooseneck fixture designed for illuminating signs. Simple style in a variety of colors. Bulb not included. Gooseneck sign light to mount on walls and canopies. Adjusts for versatility in placement. Bulb not included. 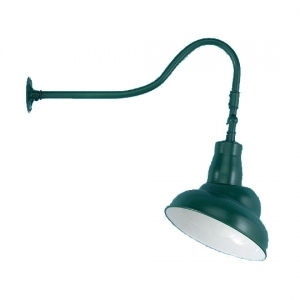 Traditional barn style gooseneck fixture. Perfect for rustic environments. Bulb not included. 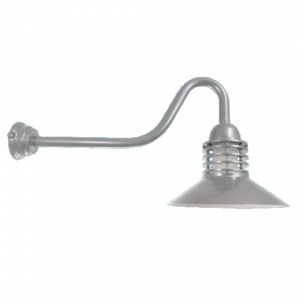 Light fixture with aluminum gooseneck frame. Designed to focus light on specific objects. Bulb not included. Gooseneck light with emblem style shade. Great for wider areas and wall-washing. Bulb not included. 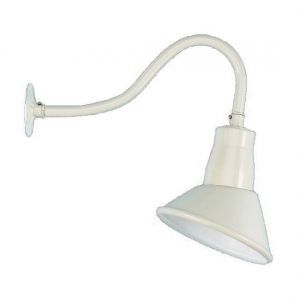 Adjustable fixture mounted on gooseneck arm for lighting signs and entrances. Up to 300 watts and runs on 120 volts. Bulb not included. Angled gooseneck for sign lighting and decorative illumination. Includes mounting pole and canopy. Bulb not included. 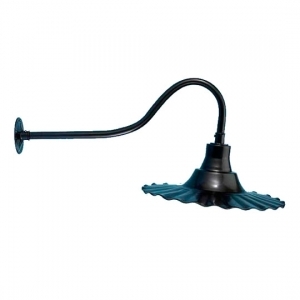 Gooseneck fixture with arm designed for mounting on parapets. Angle shade cone for precise illumination. Bulb not included. 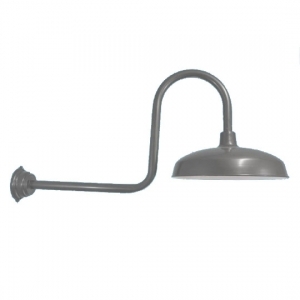 Barn light fixture with gooseneck mounting arm and canopy. 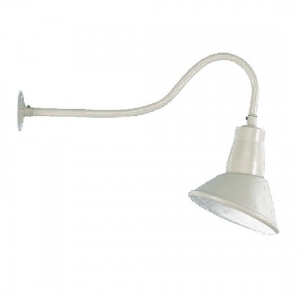 Compatible with incandescent lamps up to 300 watts. Bulb not included. 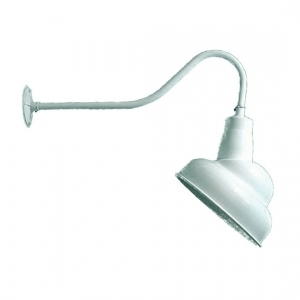 Small gooseneck fixture for lower-level projects. Great for mounting on overhangs or canopies. Bulb not included. 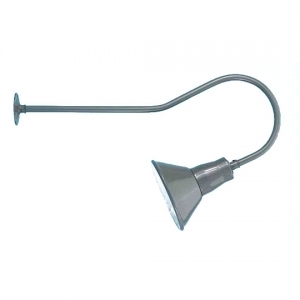 Barn light gooseneck for interior/exterior lighting. Great for small signs and overhangs. Bulb not included. 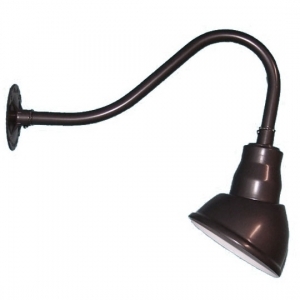 Spotlight gooseneck for lighting signs and murals. Incandescent lamp up to 75 watts. Bulb not included. 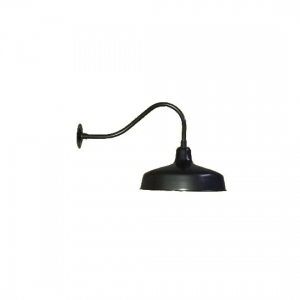 Gooseneck fixture with hooked mounting arm and angled shade. Ideal for larger signage and wall mounted lettering. Bulb not included. Decorative gooseneck available in two shade sizes. Great for storefronts and interior usage. Bulb not included. 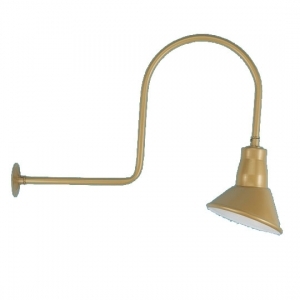 Decorative gooseneck fixture with mounting pole and canopy. Available in a variety of colors. Bulb not included. 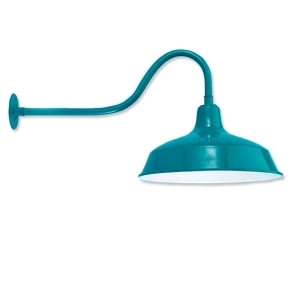 Unique gooseneck arm with large barn style shade. Used for decorative illumination in restaurants, retail signage, and entrances. Bulb not included. Outdoor fixture with integrated LED panels for energy efficiency. 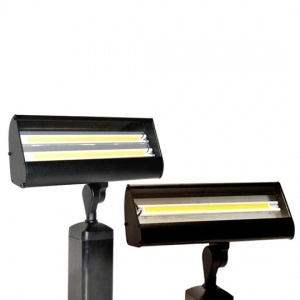 Ideal for lighting signs, greenery, and other outdoor features. Traditional style flood light with built-in LED panel. Emits warm or cool white light to illuminate residential and commercial landscaping. Linear lighting fixtures for mounting on walls and ceilings. Ground mounted options allow for low level sign lighting.